For details and photos, please click here. 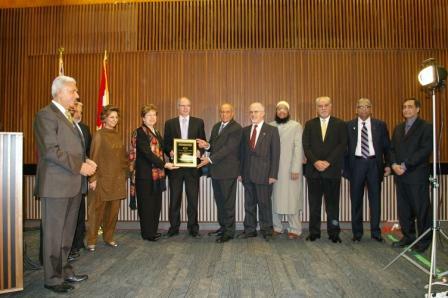 His Excellency Rafet Akgünay, Ambassador of the Republic of Turkey was recognized for his "DISTINGUISHED CAREER AND OUTSTANDING SERVICE AS AMBASSADOR TO CANADA AND YOUR PASSION TO SERVE YOUR COUNTRY." For details and photos of event, please click here. A luncheon was held in Room 230, 2nd floor in the main Legislative building. Many Members of the Provincial Parliament from all three political parties attended. For story and photos, please click here. This was the 3rd here. A luncheon was held to celebrate Eid in the Main legislative Building. 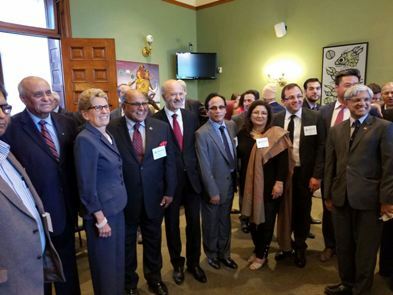 Premier Kathleen Wynne of the Provincial Liberal Party attended with several Ministers and colleagues. Many MPPs from all political parties attended. Hon. Andrea Horwath, Leader of the Ontario New Democrats brought greetings from her party and Hon. Jim Wilson, Interim Leader of the Official Opposition represented the Ontario Conservative Party. For photos and story, please click here. 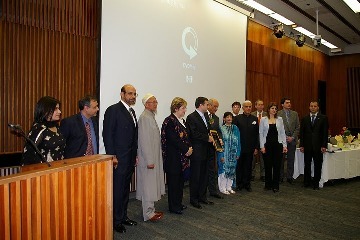 The 19th annual Eid celebrations at Queen's Park were held on September 20, 2015 in Room 230, 2nd Floor of the Main Legislative building. 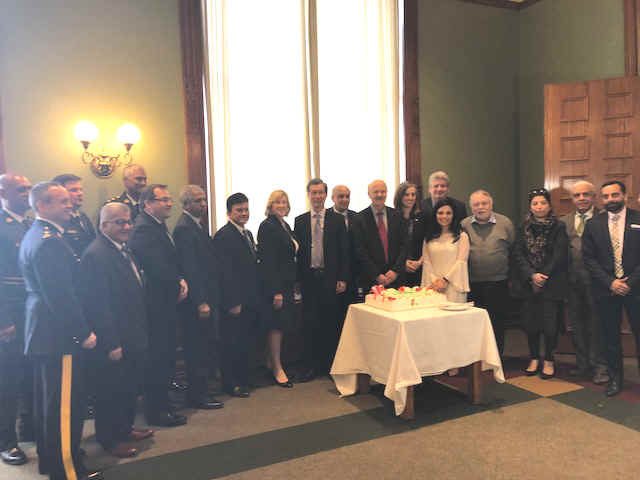 More than 30 Members of the Provincial Parliament from all political parties attended this lunch reception which was held from 11:30 A.M till 1:30 P.M. For story and pictures, please click here. 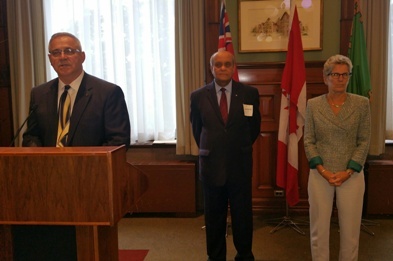 The 20th annual Eid celebrations at Queen's Park were held in Rooms 228 and 230, 2nd Floor of the Main Legislative building on September 27, 2016. More than 40 Members of the Provincial Parliament from all political parties attended this lunch reception. Hon. Kathleen Wynne, Premier of Ontario attended with several Ministers. Andrea Horvath, Leader of Ontario New Democratic Party attended with all her caucus members. 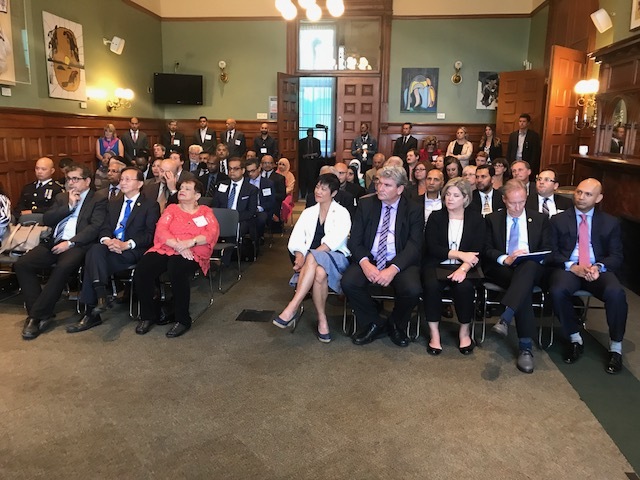 The 21st annual Eid celebrations at Queen's Park were again held in Rooms 228 and 230, 2nd Floor of the Main Legislative building on September 13, 2017. 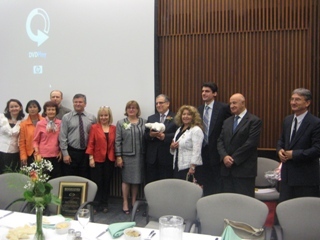 Many Members of the Provincial Parliament from all political parties attended this lunch reception.